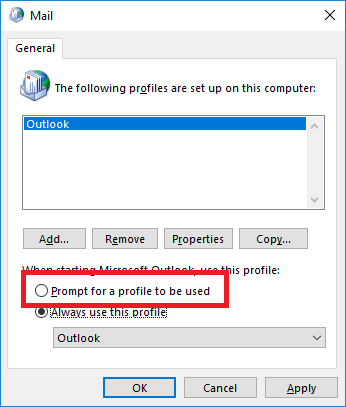 This is how to do an Outlook profile mail merge in Office 365. 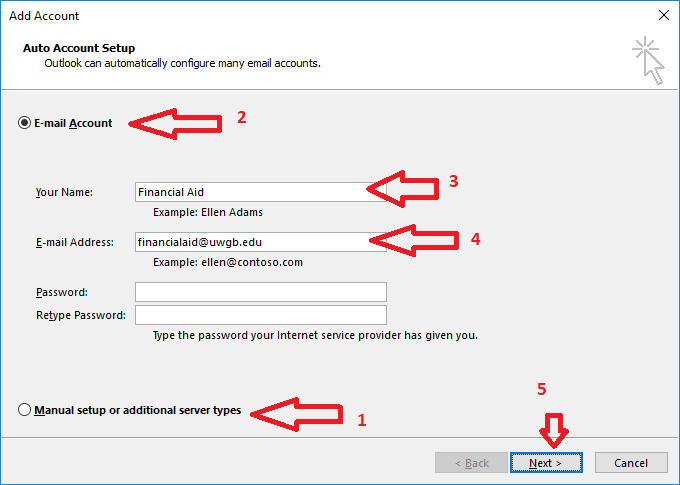 Manual secondary email account mappings for @uwgb.edu account functionality was deprecated when we moved to Office 365, many commonly call these profiles. For the purposes of mail merges, we still can use separate mail profiles for this functionality. Then the Prompt option and select ok.
Close Outlook and re-open, there will be a new dialog present. Select New. 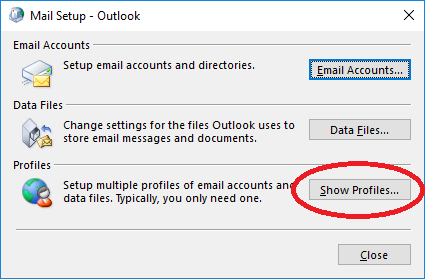 Note: this dialog will appear every time you launch Outlook now. Select Manual, then select E-mail before filling out the Name and email address by hand before selecting next. On the next screen, sign in with your account and select finish. When creating the mail merge, open Outlook with the Financial Aid profile first and then start up your mail merge like normal.